Books Between Joins the EPN! 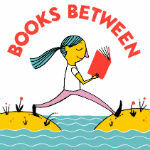 Books Between is the newest member of the Education Podcast Network. We're excited to offer a podcast geared towards children, parents, and educators related to literacy and promoting great literature. Books Between, podcast to help teachers, librarians, and parents connect children between 8 and 12 to books they’ll love. Corrina Allen is a 5th-grade teacher in Central New York.